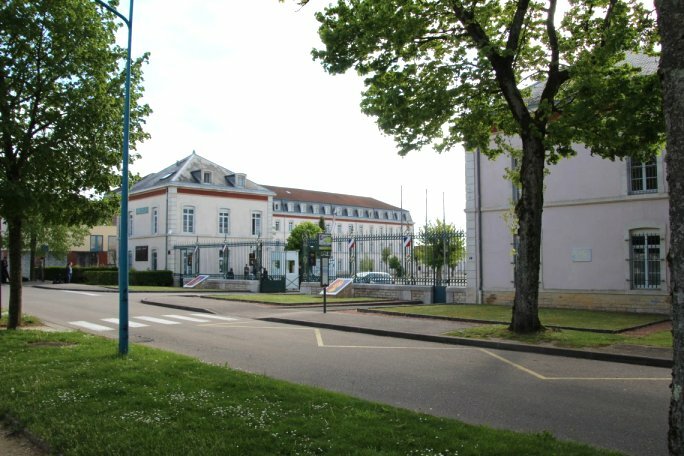 Pershing's HQ in Chaumont is now a police training facility, at the time of my visit, inaccessible to the public. 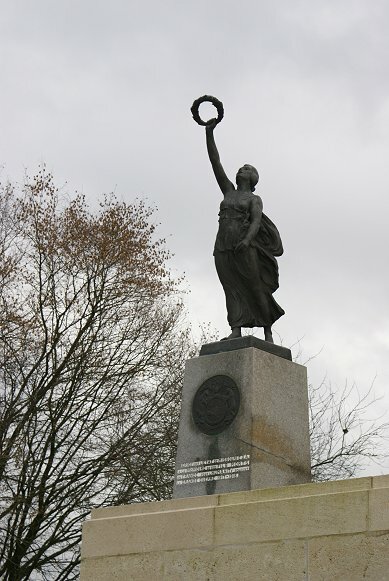 Although the central Powers had knocked Russia out of the war in 1917, their blockaded economies were tettering on the brink of collapse and their spring 1918 offensives in France had been halted in desperate fighting. In the British retreat of March 1918 and at places like Chateau Thierry and Belleau Wood, American manpower helped stave off disaster. Perhaps as important, the arrival of the Americans boosted the morale of the Allies, who now knew that victory was virtually inevitable. Although commander of the American Expeditionary Force John J. Pershing had allowed American units to be detached for the emergencies of the spring and summer of 1918, he had strict orders to fight his army as a united army, not as auxiliaries of the French and British. America, in fact, was an associated power, not one of the Allies, and President Wilson had more idealistic aims. With the repulse of the German offensives and the success of Allied counter-offensives, supreme commander Ferdinand Foch planned a general attack. The Americans were supplied from ports in the west of France, so to simplfy the lines of communication, the American army massed near Verdun, south of the bulk of the Allied forces. As part of the master plan, the Americans, with French help, were to reduce the St. Miheil Salient south of Verdun, a salient which had cramped the supply of Verdun since its creation in 1914. The Germans were evacuating the salient as the attack began, and the effect gained a quick success. Rather than continue the attack toward Metz to the east, the Americans shifted their attention north to the Meuse-Argonne sector - few actual troops were moved from the St Miheil area as the new operation had been in the making for some time. Now the Americans would attack north through rolling hills and forests studded with four lines of German fortifications. Sedan, the ultimate objective, was a point of enormous strategic importance. Through Sedan ran the railroad used by the Germans to supply their armies in France. If Sedan could be captured, perhaps the war could be won. Nine American divisions, each twice the size of European divisions, would attack. 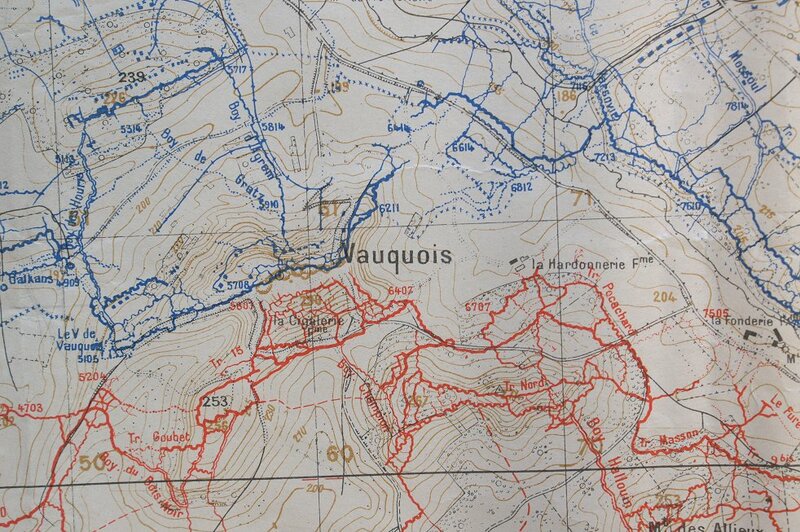 On the right flank French divisions would attack on the east side of the Meuse River while on the opposite flank on the west side of the Argonne Forest, additional French troops attacked. 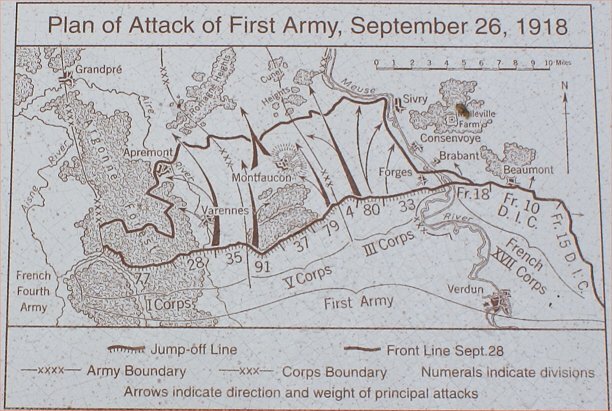 A three hour bombardment from 2, 775 guns along a 40 km front started the offensive at 2:30 am on September 26th. Progress was good the first day, with the advance passing Montfaucon on both sides. The hilltop town would fall the next day, but the delay allowed the Germans to bring in reinforcements, with seven divisions being added to the five that were already there. Progress slowed around Romagne Heights, but on October 5th an attack forced the Germans to fall back from the Argonne Forest. 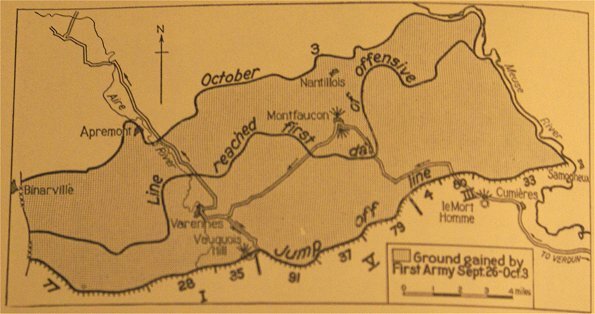 On October 6th, an attack east of the Meuse helped relieve flanking fire from that sector. German and American reinforcements were brought in. On October 14th, the Americans broke through the Hindenburg Line. An attack on November 1st convinced the Germans to fall back behind the Meuse. By November 11th, doughboys were overlooking Sedan and the railroad that supplied the German army in France. Elsewhere in the world, the Ottoman Empire exited the war, and following an Allied breakthrough in the Balkans, the Austro-Hungarians made peace, abandoning their German allies and leaving them to potentially face an attack from that direction. 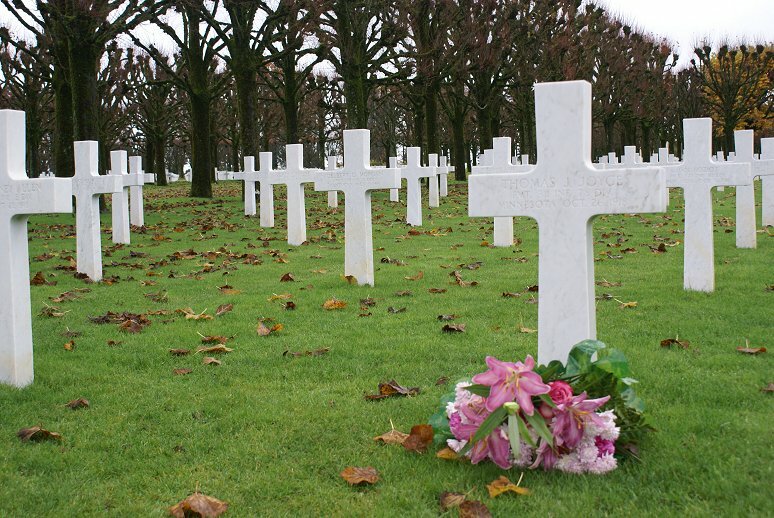 On the Western Front the Allied and American armies had put enough pressure on the Germans to shatter the moral of the men in the ranks and force their commanders to commit most of their reserves. Any additional defeats would be catastrophic. 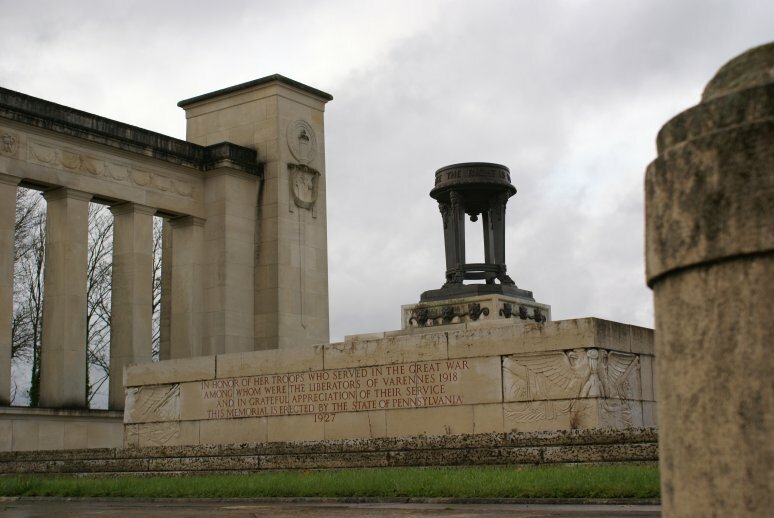 Three days before a planned major offensive on November 14th, an offensive that was to include an American advance toward Metz as well as the landing by planes of special attack troops, the Germans signed an armistice in Marshal Foch's rail car at Compiegne. The "War to End All Wars" was over, and America was now a major world power. The scene of stagnant mine warfare that had blown the top off a hill, creating two ridges, Butte Vauquois was one of the difficult areas in the American attack sector, and it dominated the land below it. The Americans of the 35th Division abandoned the trenches here on the hilltop five hours before the attack. The bombardment of the hill was intense. When it lifted, two American companies advanced immediately behind the barrage, killing and capturing the Germans as they emerged from their bunkers. Meanwhile, Americans on either side of the butte penetrated the German line. 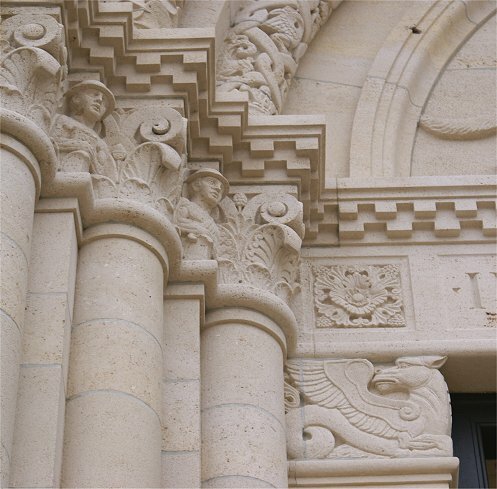 The 35th Division was a Missouri and Kansas National Guard unit. Harry Truman was an artilleryman in the division. 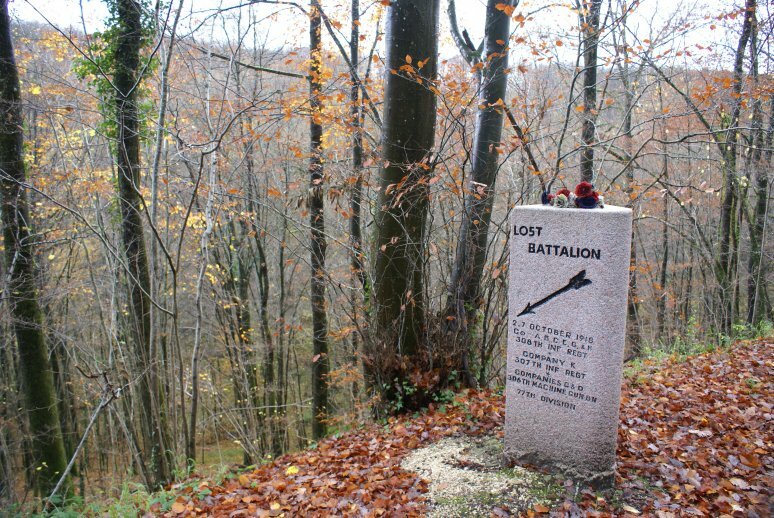 George Patton was wounded nearby leading the 1st Tank Brigade against an observation post in Cheppy. 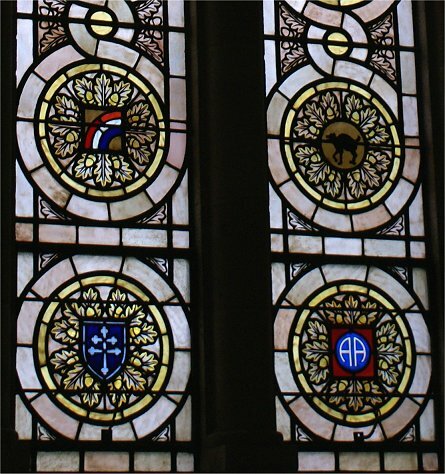 The 28th Division was a National Guard unit from Pennsylvania. The Aire River is below. The Argonne Forest is in the distance. This concrete German position near Malancourt was taken by the 79th Division on its way to Montfaucon. An ancient town on a hilltop, Montfaucon was an early objective of the attack. The American monument was built on the ruins of town. 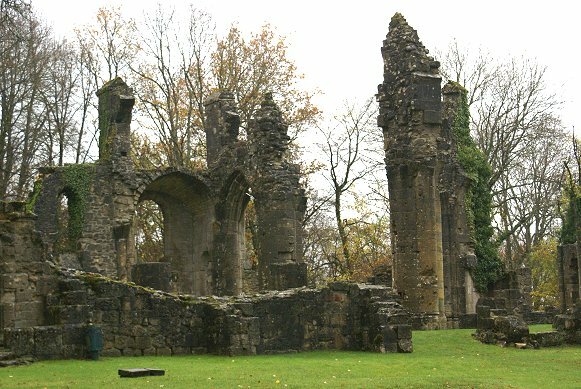 Just to the north are the remains of a church. The town itself was rebuilt nearby. 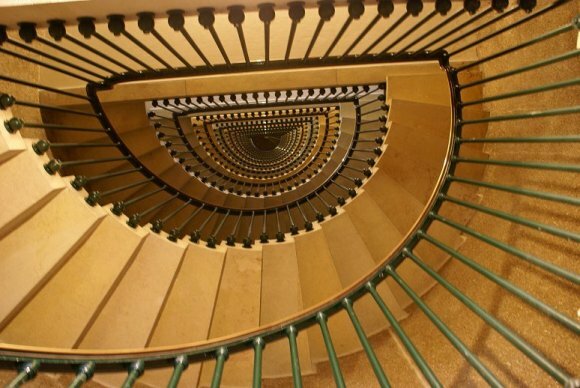 There are 234 steps to reach the top. The view is worth it. Road at left extends to Consenvoye on the Meuse. 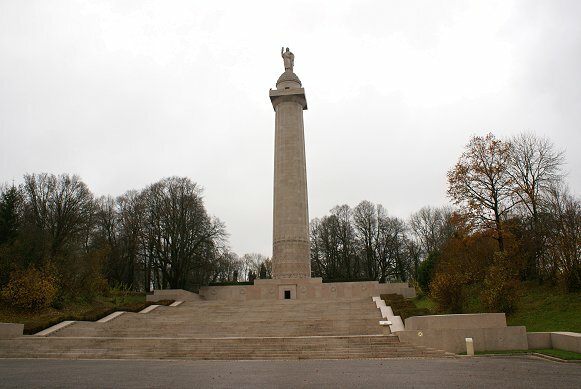 Le Mort Homme and Hill 304 were bitterly contested during the 1916 Battle of Verdun. 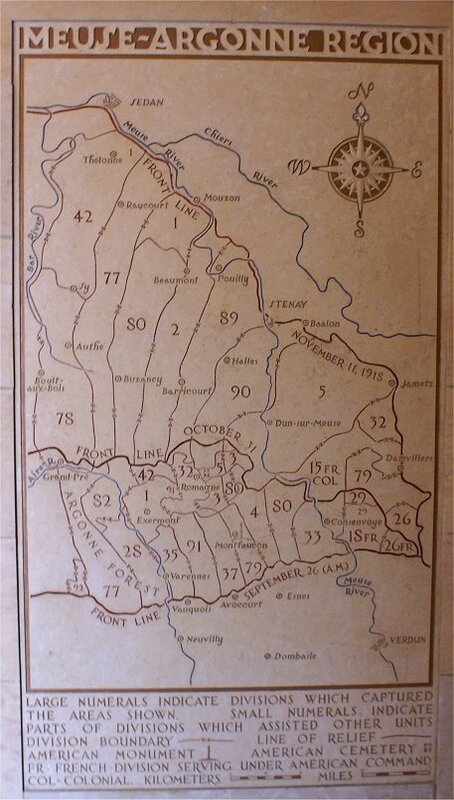 Verdun is something over 10 miles to the southeast. 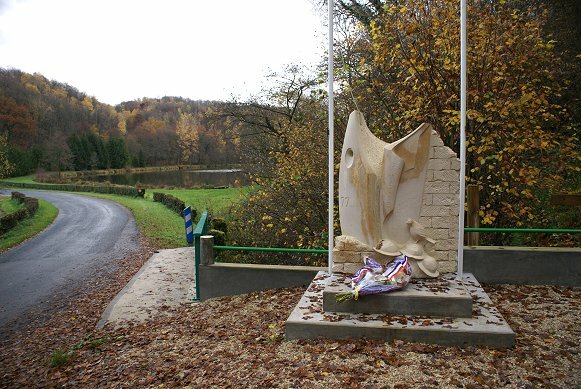 The 79th Division attacked from Malancourt, skirting the Bois de Monfaucon, with the 37th and 91st Divisions attacking through the forest. The 35th Division captured Butte Vauquois. 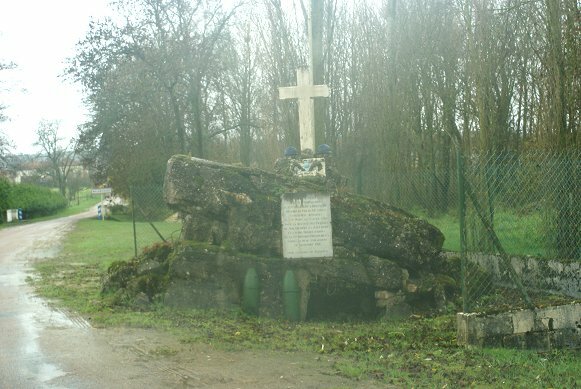 Varennes was the approximate border of that division and the 28th, which attacked through the Argonne Forest. 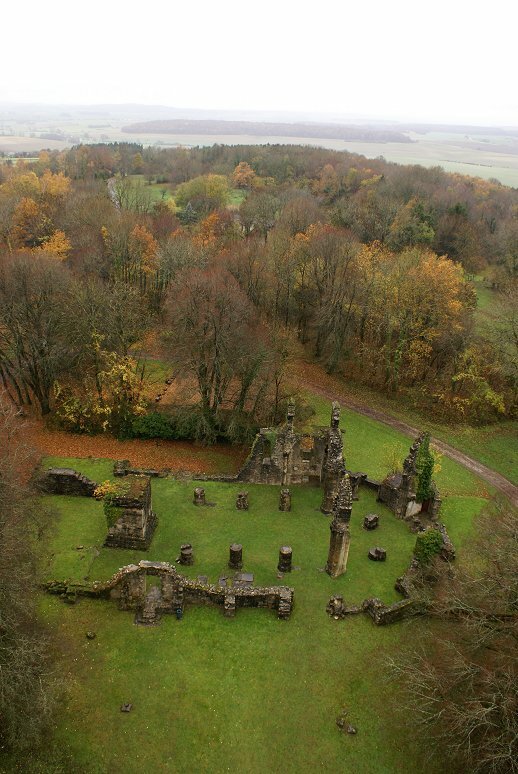 The Argonne Forest stretches from behind Varennes to the right side of the panorama. 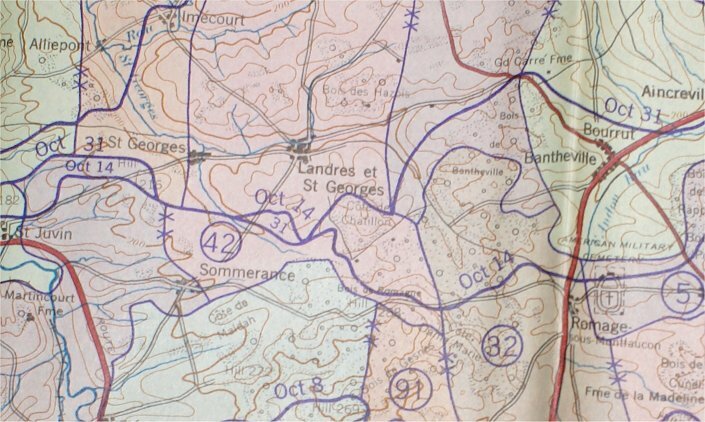 The 28th and 77th Divisions attacked through the forest from left to right. Romagne is beyond and o the left of Cunel. Actually men from several units, the "Lost Battalion" was a group of 554 men lead by Major Charles Whittlesey who, on October 2nd, advanced too quickly and became isolated behind German lines. The area was dominated by two hundred foot heights on either side, and the men were quickly pinned down. 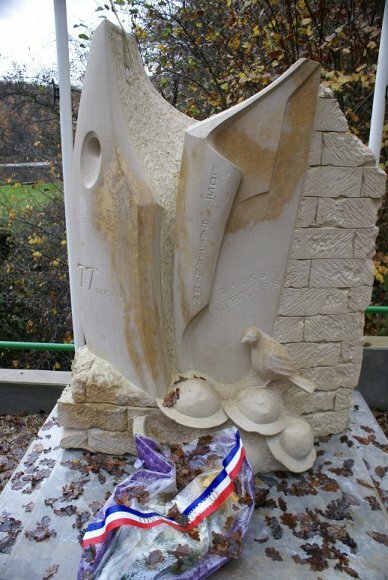 One hundred ninety four were relieved, unscathed on October 7th, with 197 killed and the rest wounded, captured, or missing. That day, Whittlesey refused a German invitation to surrender. Among the many difficulties encountered was loss to 'friendly' artillery fire. The unit was highly decorated, with Whittlesey himself being awarded the Medal of Honor. Whittlesey, a New York lawyer, had volunteered for the Army. The experiences of war and his post-war fame were too much for him. He committed suicide in 1921. This is to the west of the previous panorama, I believe near the Charlevaux Mill site, so the men were actually up this valley to the right, beyond the pond. At the time of my visit in 2010, the area was being logged. 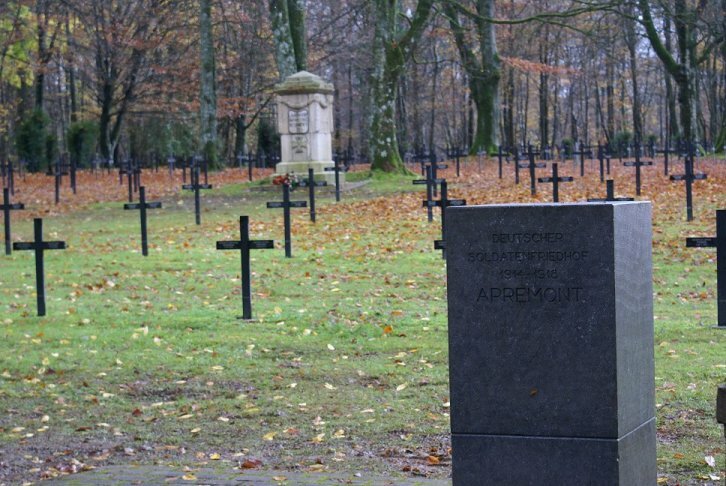 This German cemetery is to the east of the Lost Bn. site. 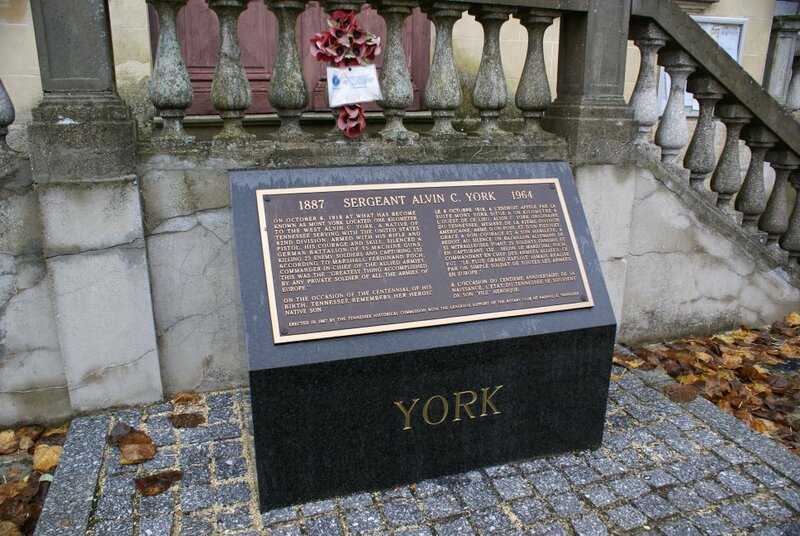 In the town of Cornay, a monument commemorates the actions of Alvin York. The commander in chief of the Allied armies, Marshal Foch declared it to be 'The greatest thing accomplished by any private soldier of all the armies of Europe'. The webmaster feel better about not finding the alleged site having learned that the exact location is in dispute. The road SW of Cornay was so muddy that John was too scared to stop, fearing that he would be unable to restart. More importantly, the account given by Alvin York himself is disputed. Although it runs an hour, the video linked below gives a fascinating and little heard perspective on the fight and on the man himself from descendants of other men in the unit. 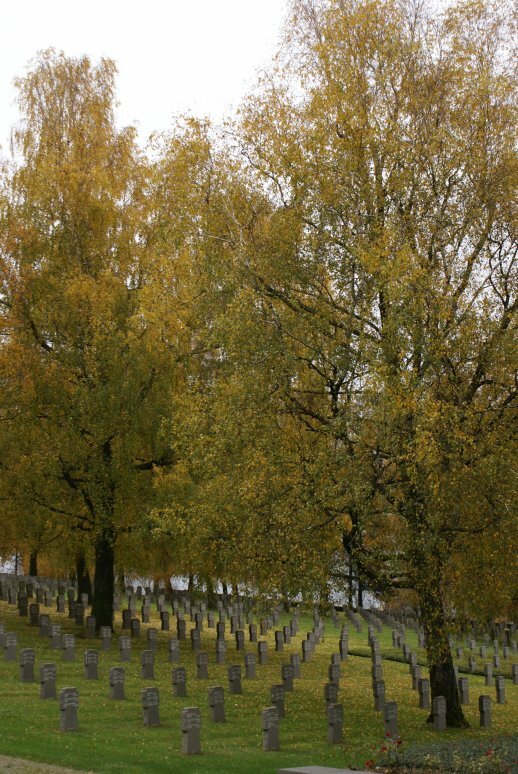 The cemetery sits on land fought over on October 14th - captured by the 32nd Division. Men took cover in shell holes where the pool is at the bottom of the hill. 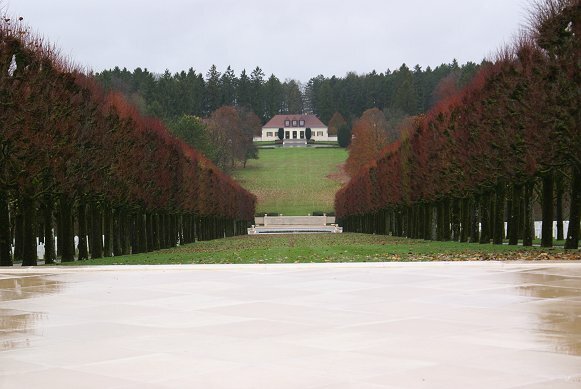 At over 130 acres, and containing the graves of 14,246, it is the largest American military cemetery in Europe. 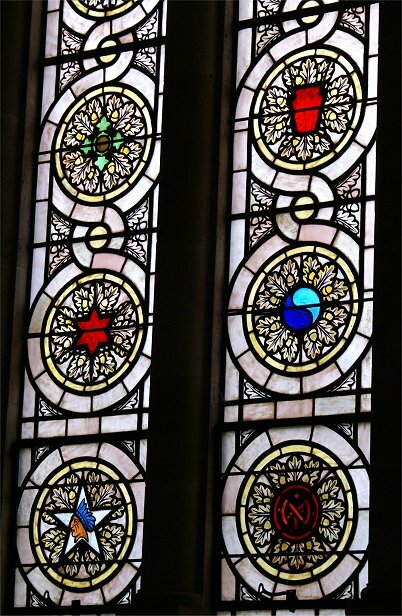 The chapel features incredible stone work and stained glass with the symbols of the divisions involved in the fight. 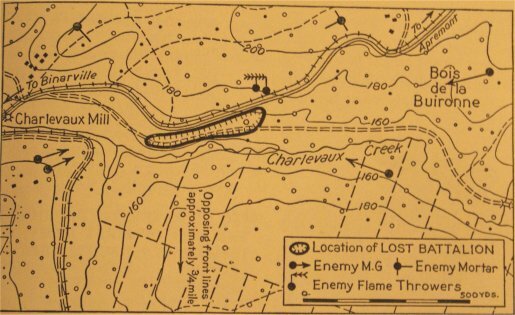 In yet another wild goose chase, the webmaster tried to find the location of the Cote de Chatillon captured by a brigade of the 42nd Rainbow Division under BG Douglas MacArthur. A regimental commander, LTC William Donovan, better known as the head of the OSS in World War II, was awarded the medal of honor for his actions in the fight. Reaching the heights above Sedan, the railroad supplying the German army was cut. 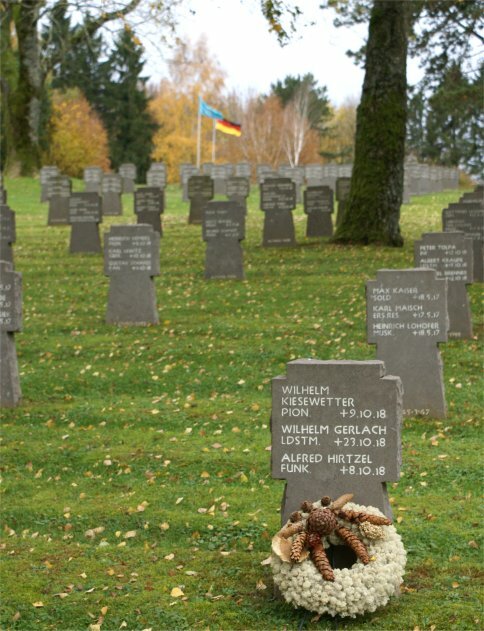 The Germans had no alternative to an armistice. 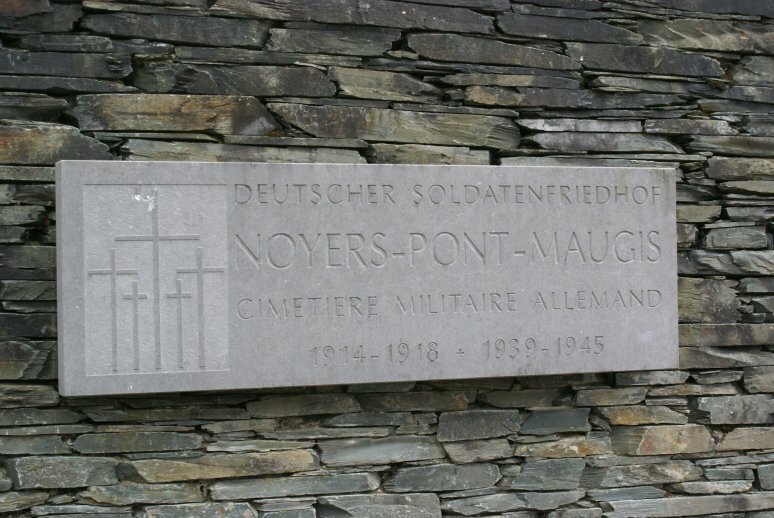 The Noyers-Pont-Maugis Cemetery has dead from both World Wars.